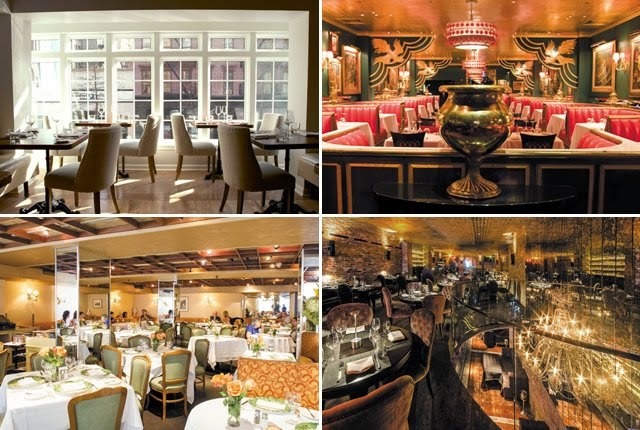 Le Madeleine may be gone, but fortunately Bea forges on. Such a satisfying conclusion for the year! 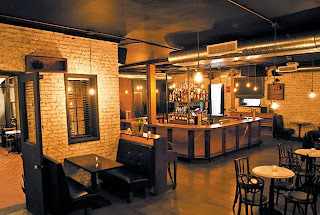 Short Order: Exquisite cocktails and great food at sound prices make Bea the place to be. How fondly I think upon candlelit dinners and careless, sunlit brunches spent in the atrium at Le Madeleine. Perhaps I’m waxing Proustian, but those are times past that I do quite remember. Now that Bea has taken over, my sense of despair has been readily remedied. The space has been updated and brushed over with a fresh coat of whitewash covering the exposed brick, on which, incidentally, muted classic movies play, such as A Streetcar Named Desire serving as moving wallpaper. The feel of an old bistro may be somewhat lost but there is much else to be found at the lovely Bea (pronounced Be-a, named after owner Sotir Zonea’s grandmother). It’s a small-ish menu, but still manages to cover a range of cuisines from Asian-inspired pork dumplings, Indian-influenced lamb meatballs to Italian-flavored pizzas and pastas as well as good old American macaroni and cheese. The cocktails were devastatingly good. The Boulevardier was like a negroni but with Old Forester bourbon instead, along with Campari and distinguished Noilly Prat sweet vermouth. A curl of orange was tucked in, with fragrant, faint sprays of its oils glittering on the surface. 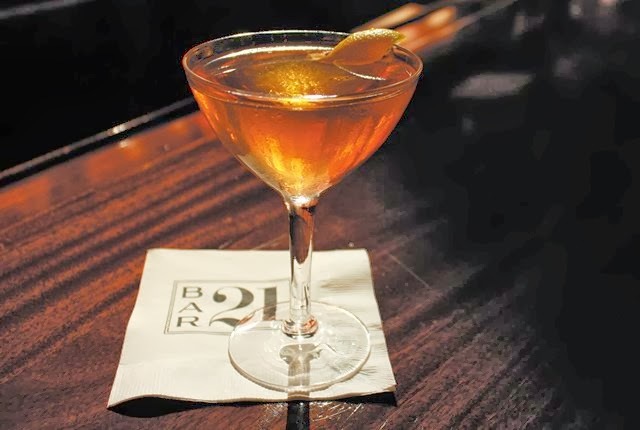 A wonderful Smoked Side Car steered by Lapsang Souchong tea-infused brandy with a scoche of Cointreau and lemon juice had the nose of a recently fired pistol. A mix up at the bar turned into quite a happy accident with this cocktail—instead of a sugar rim, we were given a smoky salted rim, which resulted in something akin to a smoky tequila that we much preferred! We also thought of the Thyme & Tonic, with thyme-infused Oxley gin, the Classic Mai Tai and the Bitter Duchess with Scorpion Silver Mezcal but we further thought it was better just to leave things well alone. Chicken liver tartine was appropriately iron-rich, simple and unfussy, with caramelized onions, a hint of balsamic vinegar and a flutter of chives on thick slices of toast. A Caesar comprised of a lovely pile of ruffled kale with lively vinegar and Parmesan was peppery and perfect. The warm asparagus salad was more subdued, topped with a poached egg and a fistful of pistachios, amply dressed with a subtle miso vinaigrette. While not overly exciting, we still ate the gooey, chewy, ripe taleggio cheesy pizza with a stiff crust, gently roasted maitake mushrooms and caramelized shallots. An excellent bowl of softened buttery macaroni and rich, fully-flavored cheeses with a crisp topping followed. But we weren’t done with our glut of cheese yet! The next round involved a platter with puffs of pillowy fried bread that were merely decent but the accompanying cheeses, meats and other assortments knocked us out. Sumptuous, spicy, briny olives tickled braised pickles and fennel amid wedges of dainty bleu cheese, an absolutely transporting ricotta salata froth and smoked gouda that tangoed with plump blackberries. A fabulous salumi combo of nutty mortadella, fragrant as a forest, carefully cured prosciutto and handsome ham rounded out the considerable presentation. Against our careful judgment, we tossed consideration thoroughly into the wind and ordered the dark chocolate mousse with whipped cream to finish up. We sidled up to another cocktail and lingered, delighted to be at Bea. This year revealed many classics, both new and old with some unexpected treasures—in other words, just what you’d expect from old New York. So, here is a taste of what we found to be most tempting and divine as we dined around town! We luxuriated for hours over the sprawling 15-course tasting menu at Eleven Madison Park (11 Madison Ave, 212-889-0905, ElevenMadisonPark.com). The entire experience was pure theater, involving a misty morning Maine “clambake” as well as glittering striped bass and pink roasted duck. An enchanting beach-ready picnic basket was loaded up with pretzels, a Mason jar of mustard and a couple of chilly beers. @Nine (592 9th Ave, 212-265-4499, AtNineNYC.com) was a step beyond many of the other Thai joints in gay HK. While sipping refreshing Fresh & Young cocktails, we delighted in gently fried Crab Ragoon and bright, tangy beef salad. Vegetable pad see ew arrived in a beautifully crafted, crisped cellophane noodle bowl. If only we could have stayed overnight at Juni (12 E 31st St, 212-995-8599, JuniNYC.com) to continue our feasting! 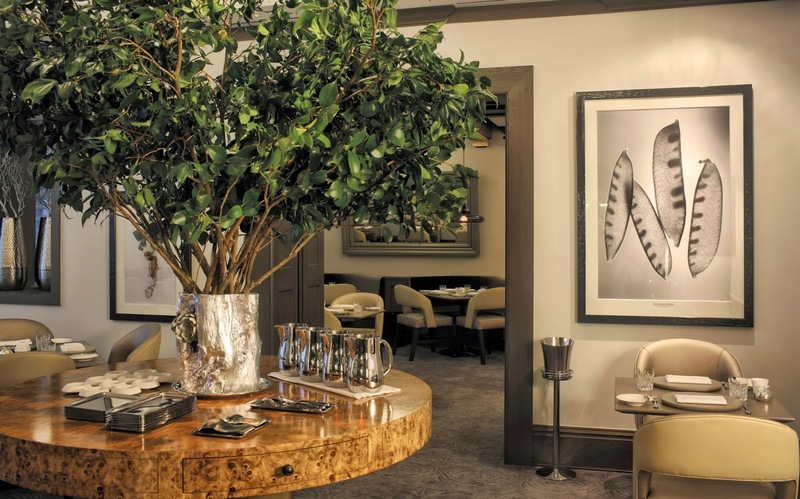 A spectacular, elegant and seasonal menu offered foie gras with pert apple relish and warm brioche, rich kale soup with simmered pork neck, creamy blankets of salsify agnolotti and sumptuous duck, all served in an intimate, social atmosphere. Le Périgord (405 E 52nd St, 212-755-6244, LePerigord.com) was such an old-world experience; a sophisticated, secluded French restaurant on the Upper East Side. Greeted by a lined-up arsenal of waiters, we were led into the dining room full of bloomed roses quietly gracing the tables. We gladly supped on mushroom-stuffed fat quail with black truffle sauce and roasted lobster tails. Sheer heaven. 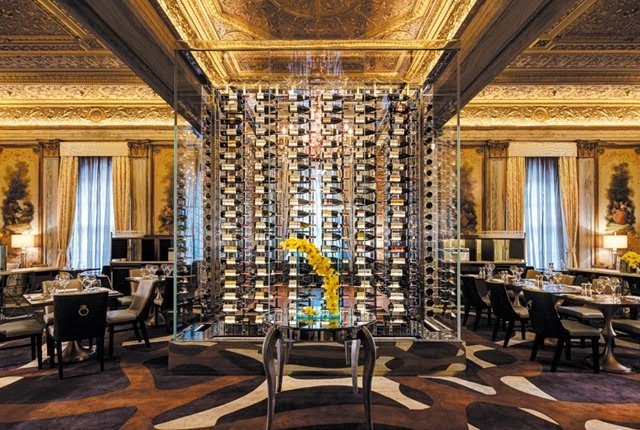 We dined on caviar with blini, borscht and stroganoff at The Russian Tea Room (150 W 57th St, 212-581-7100, RussianTeaRoomNYC.com), where the storied opulence has grandly returned with much of the restored, historical elements intact. Contemporary items such as sliders and brined pork chops now share the menu as gracious gentlemen handsomely attired in Russian military jackets wait on you hand and foot. 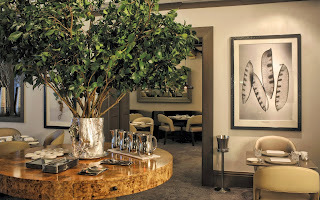 In a breezy environment evocative of the sand-tanned Hamptons, Greenwich Project (47 W 8th St, 212-253-9333) presented us with the keenly matched Odd Couple, a pairing of sautéed sweetbreads, salty cubes of bacon and sea-worthy snails, laced with a garlic froth. The halibut with brioche crust was extraordinary! We finished with red velvet cake, of course. Pennsylvania 6 (132 W 31st St, 212-727-3666, Pennsylvania6NYC.com) in the Penn station ’hood was surprisingly wonderful. While combating the transient, boisterous commuters flooding the bar, we quite enjoyed embarking on oysters from both the East and West coasts. Blue crab mac followed, lushly robed in a fontina cream sauce. The bone-in pork chop was enlivened by a spicy maple glaze and mashed sweet potatoes. 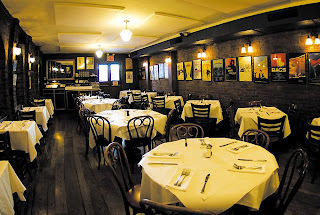 Joe Allen (326 W 46th St, 212-581-6464, JoeAllenRestaurant.com) is the lullaby of Broadway on Restaurant Row. Although hardly our first visit, we still started with the aromatic, buttery steak tartare and Caesar salad before moving on to a juicy burger. The chocolate pudding cake and banana cream pie are keepers. Keep an eye out for the fabulous Joan Rivers, a frequent visitor! Beautifully lurking in the Meatpacking district, Manon (407 W 14th St, 212-596-7255, Manon-NYC.com) has a revolving menu that rises up like the spring, ladling out vibrant pea soup, sweet corn tortellini, bursting Amish chicken breasts and outrageous smoked butter mashed potatoes. 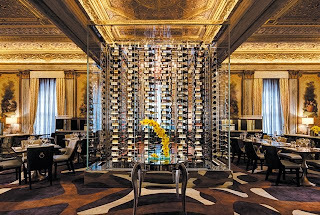 The winner of the most gorgeous place we encountered this year is…Villard Michel Richard (455 Madison Ave, 212-891-8100, VillardMichelRichard.com) in the legendary New York Palace hotel. We were spirited by our negroni cocktails, lobster bisque, côte de boeuf au poivre, fried chicken and a puff pastry Napoleon piped with ridiculously good cream. 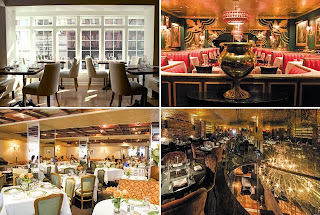 Shown above, clockwise: Greenwich Project, The Russian Tea Room, Manon, Le Perigord. The Murdery Delicious Hamwich Gumm Mystery - A Recipe for Cooked Goose! 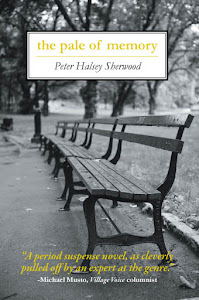 Here I present the final clue to be revealed from my baffling, curious novel featuring food, flatulence, and foul play! There is more of course to be found in my pages so do read on and do enjoy! The Murdery Delicious Hamwich Gumm Mystery is available now at Amazon.com and BN.com, and there is still time to order this jewel as a perfect gift for the impending, thrilling holidays. A Recipe for Cooked Goose! Dispatch of a good-sized goose without guilt. Wring the neck, rip it off, remove the innards, and toss all of it quite away. Season the cavity with salt and black pepper and stuff it with the horrible onions, off-putting garlic, and thyme. Truss the bird with vigor, using something as insidious as kitchen twine. Put the goose then into a 325-degree oven, its hollow breasts side down, resting on a rack in a roasting pan. Turn and continually prick to your lonely heart’s delight, ridding your catch of its fat, 30 minutes per side. Baste with vermouth and abandon, and any juices that have leaked out and into the pan. Add the gooseberry syrup until utter boredom sets in, adding the gooseberries and orange sections too, while you may, before armed guardsmen knock at the door. Remove 2 cups of pan juices, making sure the bird is well glazed, even as your eyes may be glazing over. Empty the cavity and serve with the fruit and juices poured on it. The whole process involves about 3 ½ hours; roughly the time it takes to properly dispose of a butler’s body that has been hidden away for several days. A further look into clues from my "thrilling page-turner" as Joan Rivers called it, available now on Amazon.com and BN.com. Just in time for the holidays! Basil, thyme, fennel, saffron, bay leaves or anything else that may have been stolen from an unwitting neighbor. Several pounds of fish from a chum bucket that are not quite dead yet and still flopping about. Any kind; it hardly matters. Gut them and keep the bones. Open the bottle of wine and drink it. If there is any left, add it to the base for your soup should you get around to it. Sauté onions, garlic, and leeks in some sort of oily resin and add tomatoes. Add the regrettable collection of fish heads, bodies and the like to your kettle and add water drawn from rusty pipes to cover. Bring to a barbarous boil. Cook it all down until any remorse has been left behind. Strain. Dress it up with moldy bread and roughly abused parsley. Or go out to dinner. Baby was as busy as a holiday elf this weekend, but instead of a workshop, he went to work in the kitchen to create these special bars. I suggest you do too. How the aromas of vanilla, sugar, spice--you know, everything nice--filled the entire apartment and wafted down the hall as our neighbors with wondering eyes asked just what should appear! Any remaining fillings may be put into a graham cracker crust pie shell and baked until firm, about 30 minutes--or put into individual ramekins as shown below. Do enjoy! Prepared brownie mix as directed on box, add pistachios but only put in a preheated 350 degree oven for 15 minutes in a 9"x 9" pan with bottom only greased. While that is cooking, mix in eggs, evaporated milk and maple syrup to the pumpkin pie filling. When the brownies have finished baking after 15 minutes, remove from oven. Turn oven up to 425 degrees. Gently pour 2/3 of pumpkin mixture over the brownies and spread evenly with a rubber spatula. Return to oven for 15 minutes. While that is baking, prepare cheesecake batter. In the bowl of an electric mixer, combine cream cheese, sugar and vanilla extract. Beat until smooth. Beat in eggs one at a time until each one is fully incorporated. Take out brownie and pumpkin mixture and turn oven back down to 350 degrees. Using 2/3 of cheesecake mixture, spread evenly over the brownie and pumpkin mixture. Put all back into oven, top with shredded coconut and bake 30-40 minutes. Let cool and refrigerate for two hours. Cut however you like but should serve about 12 or less depending on your eager guests. Vodka and tomato juice are not the only ingredients in this wicked cocktail laced with murderous intentions. 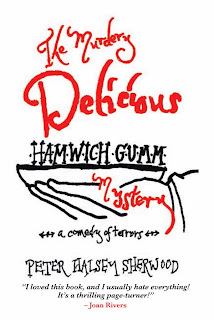 Do read on in my hilarious and chilling novel, The Murdery Delicious Hamwich Gumm Mystery available now on Amazon.com and BN.com! Vile deviled eggs are delicious at any social situation but what do they imply when murder is afoot? Find out in my fiendish novella, The Murdery Delicious Hamwich Gumm Mystery available now on Amazon.com and BN.com. Boil fresh eggs to death, cool and cut in half, depositing the yolks in a small bowl. Mash them with mayonnaise, further assault with mustard, screw in the shallot and season with salt and pepper. Stuff the eggs until they suffocate, scatter the caviar on top like ashes and serve over a hornet’s nest of greens. Despite everything else, one might as well eat. 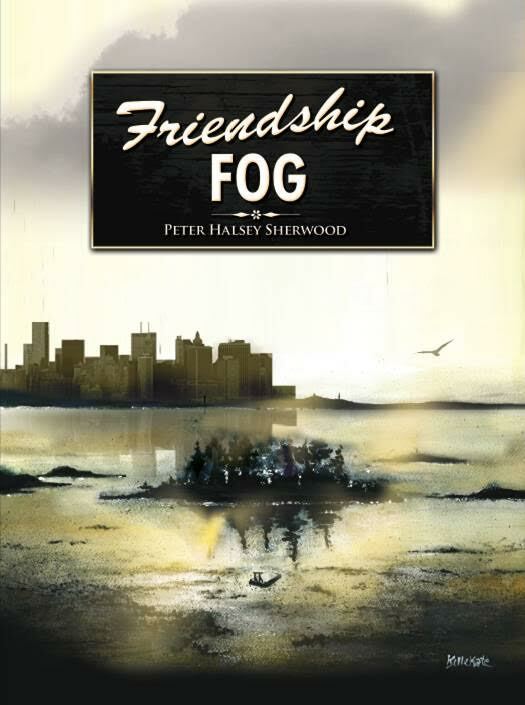 Read on as my fiendish murder mystery hits the shelves. A sneak peak of the dastardly recipes fraught, rigidly fraught! is here on eveningswithpeter...presented...in hideous parts. Clues that lace the pages of The Murdery Delicious Hamwich Gumm Mystery in full are available now on amazon.com or bn.com. Start clicking straightaway to order your copies, just in time for the holidays! Such a wicked gift! Whip salted butter into bitter orange chutney. Wrest some smoked duck from a doomed endeavor. Wrench a bunch of watercress for greens. White bread, crusts removed, for delicacy. SHORT ORDER: The straightforward, consistent Restaurant Row joint is a New York classic that is pretty hard to beat. PETER’S PICKS: Joe Allen! Meeting Joan Rivers! PETER’S PANS: The “flop wall” featuring posters of panned Broadway shows that suffered at the hand of theater critics and indifferent audiences. 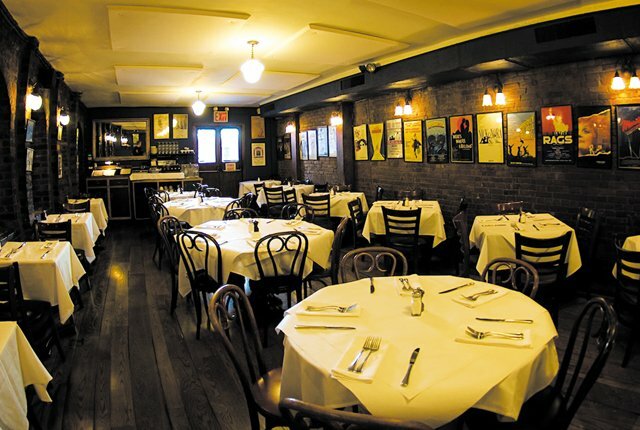 Joe Allen, the fabulous, storied, classic New York joint on Restaurant Row has been a favorite for me ever since I first experienced it over 20 years ago. With all that goes on in this ever-changing borough, Joe Allen is a constant, and we sat comfortably with a soothing soundtrack in the background by Ella, Billie and Bing. We pretty much had the place to ourselves, as the 7pm theatergoers had already left, and were excited to learn that we were seated at Joan Rivers’ favorite table. Later, much to our jaw-dropping surprise, she actually walked into the restaurant! Since we were lingering over cocktails, having already finished dinner, we gladly offered her our table, but the grand lady graciously declined after talking to us for a while and sat instead at her “second favorite table” with entourage in tow—and yes, she looked gorgeous. When it comes to cocktails, I can’t think of anything else to order at Joe Allen but a brisk martini, and Belvedere vodka made the grade this time. My fella conservatively slugged back some sparkling water. For starters, a huge portion of aromatic steak tartare was buttery, flavored with strong mustard; sharp, pungent onions and tangy capers plated with a glistening arugula side salad. Toast points provided a fine conveyance. Escargots were tender and not chewy at all, as they so often are. This dish was done right, with fresh herbs, garlic and simmering oil. A small, fantastic Caesar salad was certainly enough for two to share and was exactly what it should have been—fresh, crunchy romaine perfectly coated with a creamy dressing, composed of pert lemon and pungent garlic. It’s a simple preparation that so many restaurants mess up all the time. About here we stepped up to an Austrian Grüner Veltliner, which was crisp like a lively autumn day with creamy, resonant green and floral notes. I do find the Joe Allen hamburger to be one of the best in the city (for years it was never even listed on the menu), but we turned our thoughts elsewhere and ordered the shrimp and grits as a sort of pasta course. We loved it, just like a country breakfast with andouille sausage and jumbo shrimp in a lobster consommé with a fried egg on top and a peppery finish. Thinly sliced sautéed calf’s liver served medium rare was a rapture with grilled onions, a delicious torrent of whipped potatoes and wondrous, diaphanous slivers of bacon love notes. The moist, bone-in pork chop had a great sear, served with Jersey peach chutney. It was surely sent courtesy of Henry VIII—it was a huge, gluttonous piece of meat that we could only eat half of! Accompanying roasted Brussels sprouts were wonderful and further fit the bill. The chocolate pudding cake with vanilla ice cream and hot fudge has always been a delight, but having been alerted to Ms. Rivers’ favorite, we ordered the banana cream pie instead, such a light, elegant finish to an extraordinary evening! Strawberries--in risotto? Sure it may sound unreasonable but boy, is it ever delicious! I hadn't made this seductive plateful in years and as I experienced the ripe, summery, creamy goodness once again I wondered why I had taken so long to make it once again! Chicken stock is fine to use, but surely any stock such as veal, mushroom or vegetable is entirely suitable, and liberally dose your dish with grated Parmesan and cracked pepper. It's patient work, continually stirring the stock in this particular rice over the course of about half an hour, but risotto is hardly deserving of all the fuss given; instead, it's all rather quite easy and creates a fine impression for guests while at it. Toss about a salad of fresh greens enlivened by a dressing of spring onions, shallots, Dijon mustard, more pepper and fruity olive oil. And as the recipe only requires a quarter of a cup of a crisp white wine, naturally, spill a few glasses while enduring the stirring and then pour some more with the rest of your finished dish! Go here for the recipe, and thanks to my weather-worn copy of Saveur from May/June 1995. A veranda with a view! Baby and I went on vacation recently to celebrate a very special occasion. At Pierre's in Isla Morada, we experienced a wonderful, cool vichysoisse that helped stave off the day's heat, still beating down around the bushes (and palm trees!). Here is our table with a sunset view. 2 cans lump crab, or fresh! Simmer the vegetables together until tender for about 45 minutes. If using canned potatoes, just simply heat them up with leeks and fennel simmering in another pan. Strain and mash potatoes with a fork. Puree leeks and fennel. Add seasonings all else together and gently simmer over a low flame. Take off heat and stir in cream just when about to serve. Add a tablespoon of crab to each bowl and drizzle with the key lime oil. Do enjoy! Freeze beautiful nasturtiums or other edible flowers in capacious ice cube trays and use to enhance the summer's sangrias and herbal iced teas? It's amazing what encounters there may be hidden in the recesses of a refrigerator. I found about 9 oz. or so fresh agnolotti pasta stuffed with crimini and portobello mushrooms (I wish there could be a universal spelling for the latter fungi and that we could all just get along). Fresh ravioli of any sort would work too. They hadn't exceeded the expiration date so as I was feeling a bit peckish, I set to work. Baby was out of town, so I was eating for one. Remnants of ramps, the leafy, showier sister of scallions that sends everyone raving around May were also on hand. I thought to make a garlic and ramp olive oil to enrobe the agnolotti, instead of a red or cream sauce. which were unbridled once in the simmering oil, undulating and ballooning! I'd never seen such a reaction, short of my great-grandmother one year at the end of a most enduring Thanksgiving. Once the ramps settled down and were wilted, I removed them with a slotted spoon and set them along with the garlic on a plate lined with paper towels. The agnolotti were seared at lower heat (flat side down first before flipping over once browned, about 5 minutes per side) with a good heft of grated nutmeg and later, fresh cracked pepper. When they were sufficiently done, I took tongs and carefully placed them in a wooden bowl and grated cheese over them--a salty sheep's milk cheese works well for this. A fistful of fresh spring greens such as watercress, arugula, went into the still warm pan until they too wilted. After that, it was simply a matter of tossing it all together, plating it and topping the dish with a smattering of uncooked greens. A dry, full-bodied, Californian Chenin Blanc/Chardonnay blend was also taking up too much space in the refrigerator and it ended up very evenly balancing the garlicky ramps, pungent mushrooms, the bitter greens and the salty cheese, that had all just been sitting around awaiting their particular call of duty. It's grand that someone came up with the phrase "Waste not, want not," don't you think? Try any variation of what you have on hand--and instead of seasonal ramps, consider a mixture of chopped leeks, green onions and shallots and do enjoy! It was a busy weekend, what with our Derby party Saturday and Cinco de Mayo/Greek Easter on Sunday! David and I had tried Mrs. K's spanakopita a few months ago and we absolutely had to have the recipe. She did send it to us and we made it to celebrate Greek Easter. This huge platter was absolutely delicious even though we did not have parsley, as we had used it for our Derby party and didn't want the bother of going out for more. It was of little matter; we grabbed a bunch of ramp leaves that we had on hand instead. We also misjudged the amount of melted butter and didn't want to take the time to melt more but Pam cooking spray actually worked just fine. Nothing was a terribly difficult effort, it just took a long time to strip the spinach of its stems. Although it might sound unforgivable to some, when we make spanakopita again we might use frozen spinach instead for ease. So take it away, Mrs. K! Wash spinach and cut off stems, dry completely with towels, then chop. Brown scallions in 1/2 cup olive oil until tender. Combine spinach, parsley, dill, beaten eggs and cheese; add cooked scallions, season with salt lightly and mix well. Grease a 9 x 13 baking pan and line with 5 sheets of filo, brushing each sheet with melted butter combined with 1/2 cup olive oil. Spread the spinach mixture over the filo evenly and cover entire top. Top with remaining filo, brushing each sheet with butter and oil, including top sheet. Bake at 350 for 45 minutes to 1 hour. Cool and cut into squares. Note: For best results, cut through the top layer of filo with a razor blade or a very sharp knife BEFORE baking, this will ensure that the squares will not be crumbly and then you can finish cutting them when the pie is completely cooked. May be served hot or cold in small squares or large squares. I usually cut them into 2" x 2" squares. Derby may have left the gates and galloped past this year, but I do believe the memories will linger, at least for me. We had a real humdinger of a party--and behold the beautiful lilacs in the waning afternoon light! And no, my horses didn't win. Orb ran fleetingly by Falling Sky and Slim Shady. Of course, there were mint juleps! We actually froze them this year and served them right out of the blender and they were marvelous. Equal parts bourbon and simple syrup (2:1 water and sugar boiled with lemon wedges and cooled). A fistful of mint went into the blender filled with ice and we topped each individual icy pour with dark rum. Biscuits and tomatoes along with Benedictine cucumber and cream cheese sandwiches were sampled shortly thereafter, once our guests were duly situated. I took advantage of seasonal ramps and shallots this year, substituting both for yellow onions, to quite good effect. The more traditional recipe is here and the picture is below, our Pepperidge Farm thin white bread having been shorn of its crust, stuffed, sliced and stacked on a vintage cake stand. The annual shrimp and peppers served over grits made their annual appearance, courtesy of Martha Stewart's Menus for Entertaining. Grasshopper Mousse for dessert, laden with creme de menthe, was right out of a 70's dinner party. I wrested the recipe from the Leah Tinari, the owner of Fatta Cuckoo in Manhattan. Her mother was kind enough to pass on her secret. Our friend was kind enough to make it and bring it over. She said it's so easy and everybody loved it--and the recipe makes a ton! She also made Crack Pie, that is similar to Chess Pie, and served at Momofuku Milk Bar in our fair city. It was beyond. But that's a different post entirely. Our rosy centerpiece for the table! This recipe from my beloved Nana actually involves cherry pie filling, but Baby and I had blueberry pie filling in the cupboard that we had wrested from Maine a few months ago so made the substitution. Looking to do something with the jar of filling, I thought to bring this particular mix to a dinner party Baby and I were invited to for a great dessert--but loaded with hearty oats, these dreamy squares could serve as breakfast too, for your hosts to enjoy the morning after. Unless the whole thing gets consumed the night before. They are so buttery delicious! Preheat oven, grease pan (I used butter instead of Crisco or otherwise). In a large bowl, combine cake mix, 6 T butter and I cup of oats. Mix until crumbly; save some for the top (approximately 1 cup). Take rest of crumbs, add 1 egg and blend well. Press into pan. Spread cherry filling over crust. Take the cup reserved and add 1/4 c oats, 2 T butter, nuts and brown sugar, mix well and spread over cherries. May add whipped cream topping for extra fun. This month our merry band of players took on the mother of all musicals, Gypsy. Based around a ferocious stage mother named Rose, the show gloriously depicts the old vaudeville circuit and Rose's neglected daughter's later rise to epic fame in burlesque--none other than the legendary stripper Miss Gypsy Rose Lee. As that grand old show tune "Everything's Coming Up Roses" closes Act One, we had to have red roses on the table for a centerpiece and our friend was kind enough to bring such beautiful long-stemmed roses--bunches of them. Aren't they just gorgeous? I lined up battery-powered candles to make footlights for our "stage" and lit a free-standing antique mirror to create a spotlight on the ceiling. Red paper dinner napkins made a great runway strip, er, runner. Since Chinese food is all they can afford through most of the show, we made what else? A Chinese buffet! We ordered a few things for delivery too from our favorite local restaurant. In tribute to a song in the show that extolls the virtues of Chinese food as much as the booking agent who agrees to hire the girls for an act, we greeted our guests with eggrolls, still warm from out of the bag, and extra duck sauce and hot mustard. We also ordered sesame noodles, but I have a great homemade recipe too made with ramped up college-days-Ramen that serves two. The amount of ingredients are entirely suited to taste. Boil the noodles. In another pot add about one-third to one-half cup bouillon, garlic, soy sauce, sesame oil and the seasonings of choice, to taste. Mix in the peanut butter and add more water or soy as it thickens. Coat the noodles with Padangsauce and adjust seasonings. Garnish with sesame seeds or scallions, or both. Inhabitants of our pu-pu platter included skewers of ginger teriyaki marinated beef skirt steak from Fresh Direct--all we had to do was run the sliced meat through with bamboo skewers (that had been soaked for a while in water so they won't burn) and cook the meat for a short time in the oven. An old friend sent me a wonderful recipe for chicken wings came from an issue of Gourmet magazine from December of 1999. Preheat oven to 375°F. Divide wings between 2 large disposable foil roasting pans, arranging in single layers. Purée remaining ingredients in a blender and pour mixture over wings, dividing evenly between pans. Bake wings in upper and lower thirds of oven 60 minutes. Turn wings over and switch position of pans in oven, then bake 20 minutes more, or until liquid is thick and sticky. Serve wings warm or at room temperature. Roast Pork enlivened with red food coloring may be found here. From a Polynesian cocktail party we threw years ago! In a snap we had fantastic ginger cookies to follow the curtain, aptly named Ginger Grants from Stud Muffin Desserts that everybody just loved. Flavors of orange and lemon with a ginger kick had a soft center and a sugary exterior. And so, we take our bows; the final rose. Read more about roses that play an important part in my harrowing novel, the pale of memory available on amazon.com and barnesandnoble.com. Go to thepaleofmemory.com for more info.